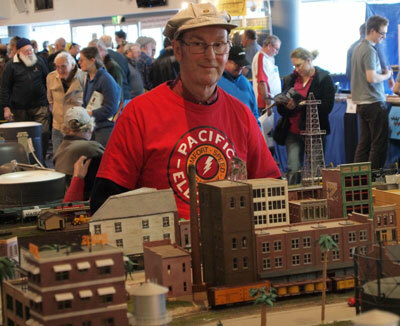 Ballarat and District Model Railway Club was formed in 1980 after the Wendouree Apex Club, through the direction of David Haymes of Haymes Paint, held a "Model Railway Spectacular" in the Lower Civic Hall. At this exhibition a paper was circulated seeking people interested in forming a model railway club. The newly formed club acquired accommodation at the Sebastopol Community Centre and eventually took possession of three rooms on the top floor of what was the Sebastopol Primary School. As the club grew so did the layout developments, One room was set up with an N scale layout. another larger room had the HO scale layout and the library come meeting room became the construction room for the HO Exhibition layout. After 20 years it was thought that it was time to move as the club was outgrowing the premises and the stairs where becoming a challenge for the older members. The old traffic school, formally the Administration Building for RAAF, based at the Ballarat Airport, became available for leasing so the club took possession of the western half of the building in January 2000.